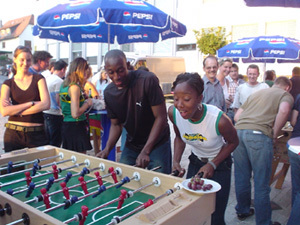 In August 2004, as part of the Puma Jamaica Party, we organized a kicker tournament together with the “Barmherzigen Brothers”, a Benedictine workshop for retarded people. 30 teams of Puma employees and Olympic athletes kicked here for this worthy cause. 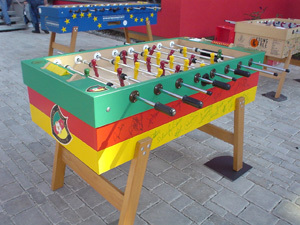 The money earned duringthe tournament plus a donation from the PUMA AG was given to the “Barmherzigen Brothers”.